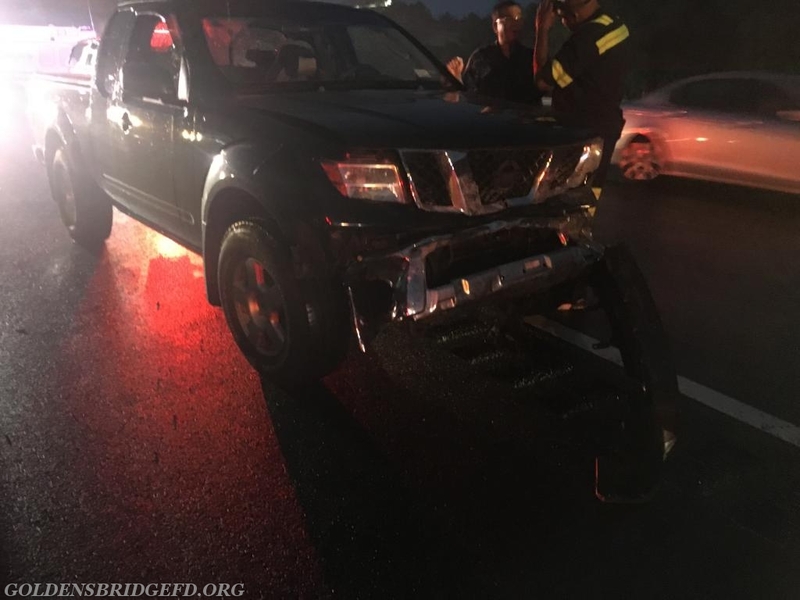 Just before 8:30 Monday Evening , Golden's Bridge Fire Department, along with Lewisboro VAC & Westchester EMS, were dispatched to I684 Northbound in the area of mile marker 20.0 for a three car motor vehicle accident with injuries, involving an ambulance . 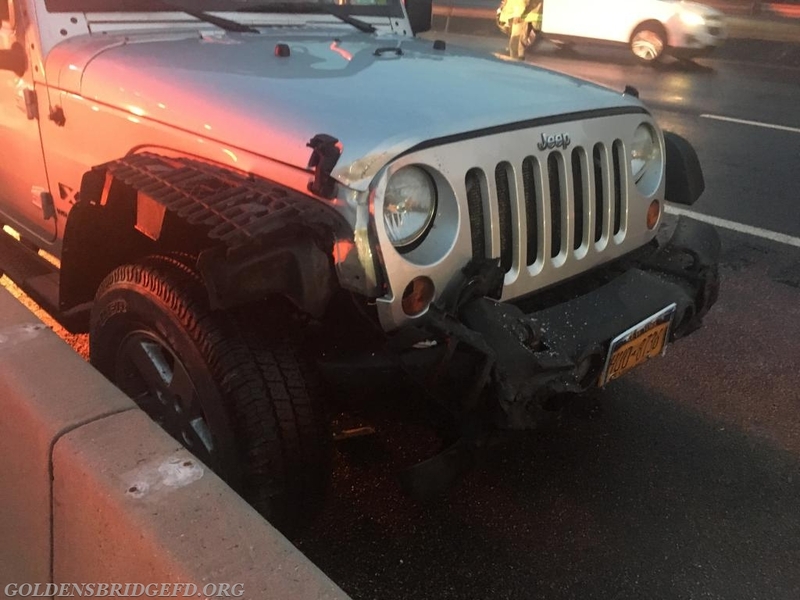 All three chiefs were responding within seconds of dispatch. Car 2141 was first on scene and took command of the incident. Car 2141 updated that there was two separate accidents. 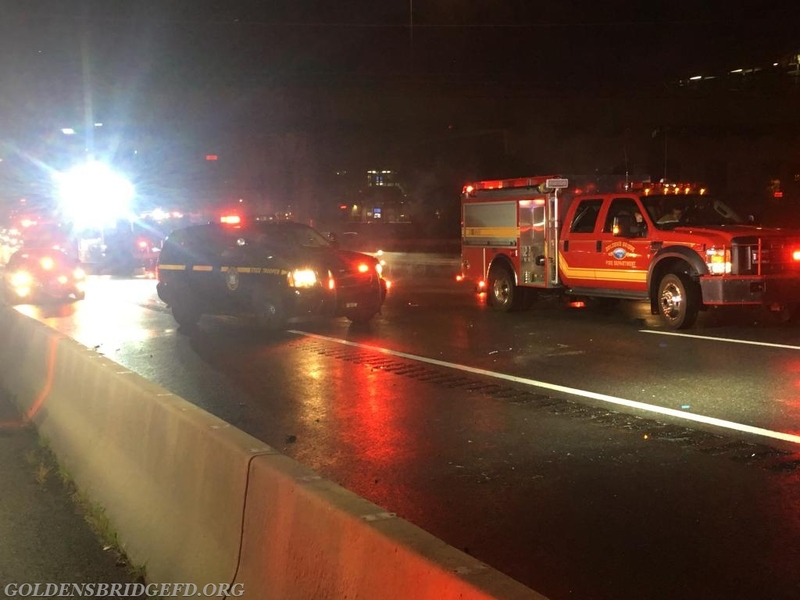 One was a single vehicle that hit a divider and the second was an ambulance that got t-boned by a car. Both Engine 138 & Engine 140 were on the roads soon after dispatch. Upon arrival of Engine 138 they took up a blocking position to Route 22. The crew went to work assessing patients and securing the vehicles, as well setting up a traffic pattern. 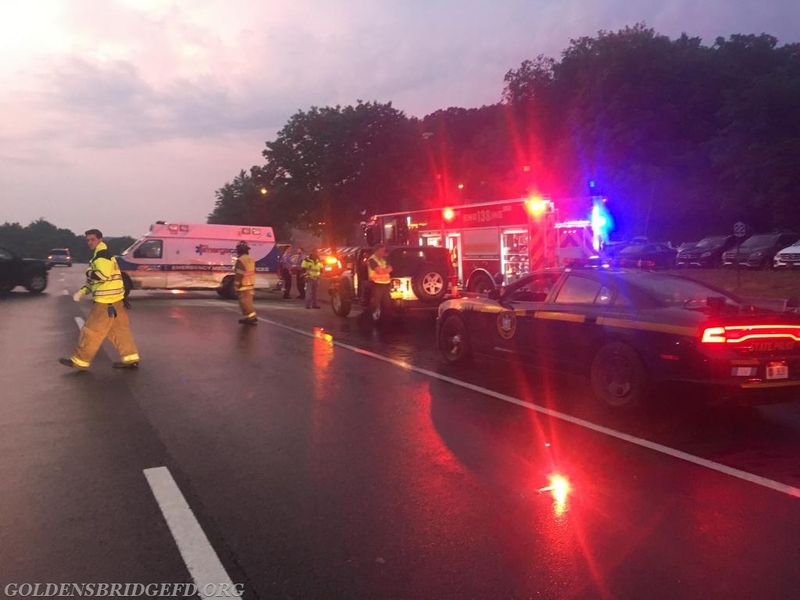 After the traffic pattern was set up, a precautionary line was deployed to protect the accident scene since the ambulance was reportedly leaking fuel. 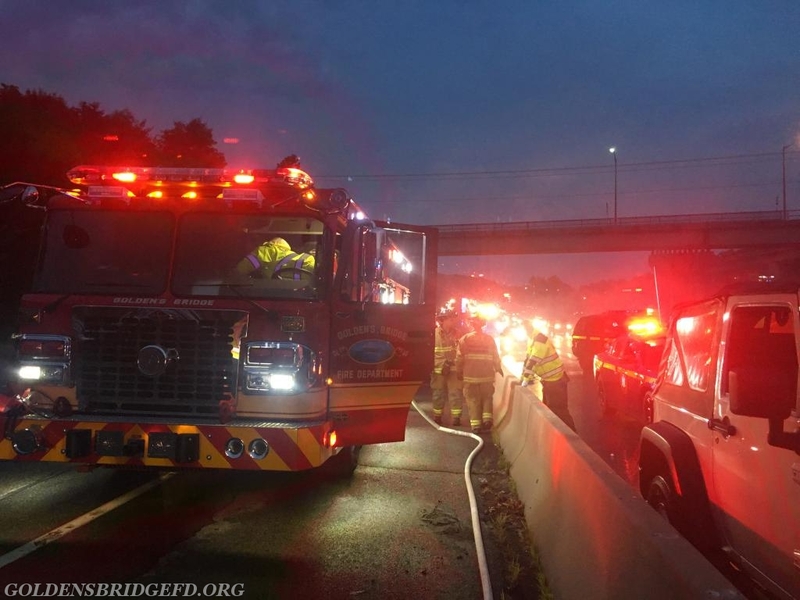 Engine 140 was assigned as a blocking position on I684 , giving an even bigger protection zone. 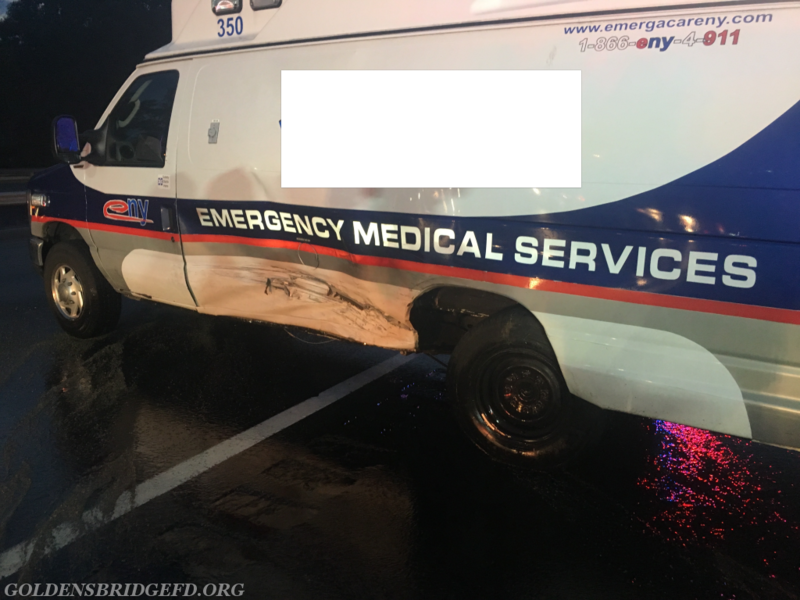 Engine 139 was requested specially to the scene in event that they were needed to assist in vehicle removal.The two drivers of vehicles and the ambulance crew refused medical attention on scene and the patient that was being transported in the ambulance had their care turned over to a WEMS crew. 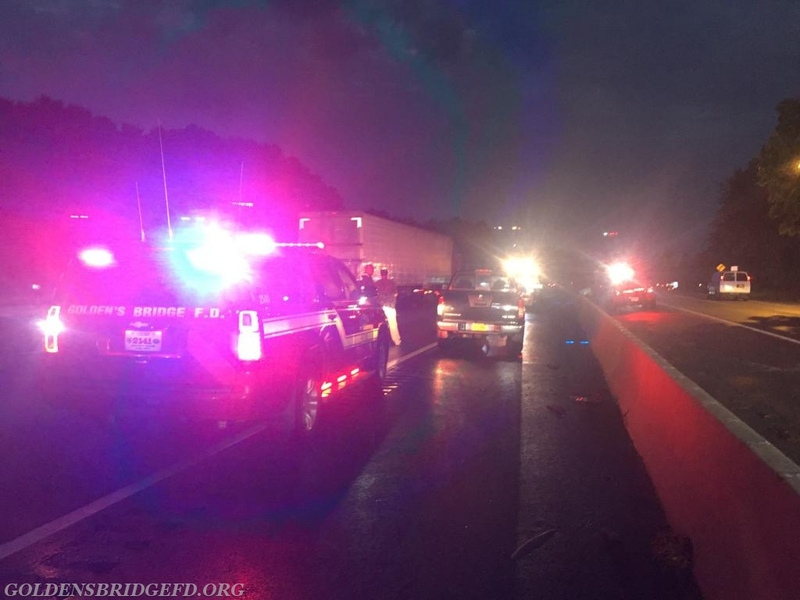 GBFD remained on scene until the vehicles were removed by the towing company. Units operated on the scene for about 1 hour. 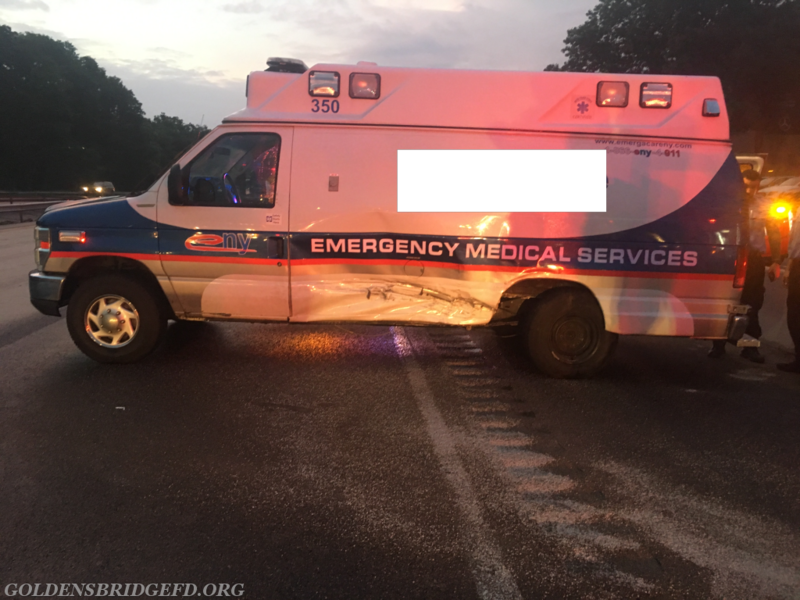 The ambulance involved in the accident. A overlook of part of the scene. A look from Route 22 looking down I684. Another shot of the ambulance involved. The vehicle the hit the divider. GBFD Car 2142 protecting one of the vehicles involved. A look at the car that hit the ambulance. NYSP & GBFD Engine 139 operating.